Will joined ICOLT as executive director in January 2019 after a more than 30-year career as a conservationist and natural resources lawyer in Idaho. Before ICOLT, Will worked for nineteen years with The Nature Conservancy, where he led the Idaho Chapter’s public policy and advocacy work. Will started his career with the Idaho Attorney General s Office and specialized in salmon, energy and water issues. In his spare time, he taught courses in environmental law and policy at Boise State University. Will has degrees from Yale University and University of Oregon School of Law. When away from work, he likes to spend as much as time he can exploring Idaho’s backcountry and wild rivers. He is married to Mary Beth Whitaker and lives in Boise. Robyn serves as the Director of Conservation Programs for the Idaho Chapter of The Nature Conservancy in Idaho. The Nature Conservancy is a non-profit, conservation organization that works around the world to protect ecologically important lands and waters for nature and people. For the past twelve years, much of Robyn’s work at TNC has focused on restoring and protecting public and private forestlands that provide significant benefits to our communities. She has a B.S. in Forestry from the University of California at Berkeley and a M.S. in Wildlife Resources from the University of Idaho. In addition to The Nature Conservancy, she has also worked for the US Forest Service, ID Dept. of Fish & Game, and private consulting firms. She lives in Moscow, Idaho with her husband and three young daughters. A native of southeastern Idaho, Matt began his conservation career 16 years ago with the Idaho Department of Fish and Game. There he worked in a variety of capacities, from managing wildlife habitat on the 115,000-acre Craig Mountain Wildlife Management Area, to helping farmers and ranchers access Farm Bill programs for improving wildlife habitat on their lands. has also heald the position of Stewardship Director at Teton Regional Land Trust, and statewide conservation program manager at the Colorado Department of Natural Resources Division of Parks and Wildlife. While Matt has enjoyed working with landowners and conservation throughout the west, he dreamed of coming home to southeastern Idaho. Over the years, even while far away, he has served Sagebrush Steppe as a member and volunteer. 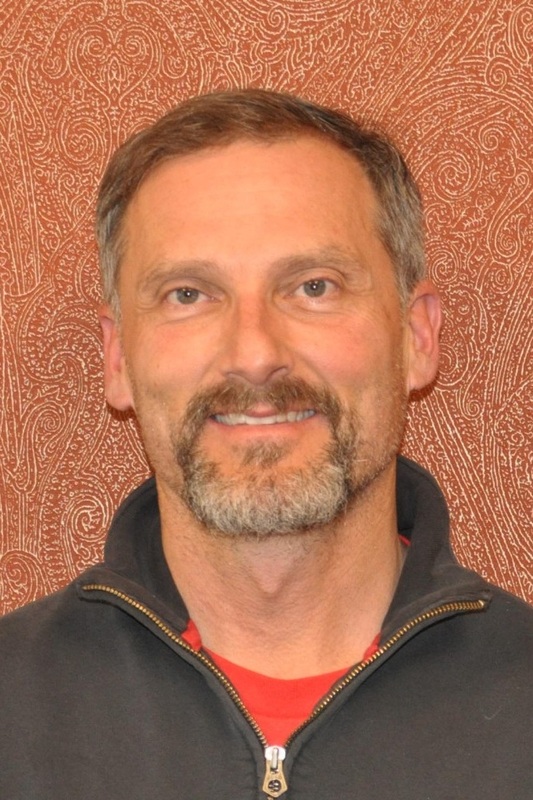 When the opportunity to become executive director arose in 2016, he took it and began applying his energy and expertise to leading and building southeastern Idaho’s local land trust. When he’s not in the office or visiting partners, landowners or supporters, Matt spends his time with friends and his dog Darby exploring all that Idaho has to offer from floating rivers and fishing creeks to backcountry skiing and bird hunting across Idaho’s uplands. Jen joined Lemhi Regional Land Trust (LRLT) in 2018 as the Executive Director. She holds Bachelor of Science degrees in Biology and Wildlife Biology and earned a PhD in Organismal Biology and Ecology from the University of Montana studying the ecological and behavioral effects of invasive species introductions on native grassland communities. Prior to joining LRLT, she was a Field Operations Manager charged with management of a field office and personnel associated with data collection across the state of Colorado for the National Ecological Observatory Project (www.neonscience.org). She has also spent time working for and with various state, federal, non-profit, and private organizations conducting and facilitating scientific research in North Dakota, Montana, and Kansas throughout her career. Jen grew up in South Dakota, but considers Montana and Idaho her adopted home after spending 10 years in the area and was excited for the opportunity to return “home” to Salmon where her husband Tony grew up. Tony and Jen have three boys Killian, Kincaid, and Kian and a new puppy named Sterling. In the summer you will find the family floating the river, camping, gardening, biking, or doing anything outside and at the ski hill in the winter. Amy is the Deputy Director of the Wood River Land Trust in Hailey, Idaho. When not working to protect the open spaces and waters of the Wood River Valley, she’s often out enjoying them with her kids. Upon graduating from the University of California San Diego with a B.S. degree in Ecology, Amy worked for the San Elijo Lagoon Conservancy as a biologist, program manager, and eventually Associate Director. She moved to Moscow, Idaho in 2011 to be the Executive Director at Palouse Land Trust, and then to Hailey in 2018 to join the team at Wood River. Matkins received her undergraduate degree in Biology from the University of Colorado, and worked as an ecologist at various field stations across the Southern Rockies. Matkins started her land trust journey as an intern with the Wood River Land Trust before returning to graduate school at Oregon State University where she earned her Masters of Science studying nutrient cycling in riparian area. After graduate school, she worked for the Placer Land Trust in Northern California as the staff scientist and land manager before taking the Executive Director position at Sagebrush Steppe Land Trust. Matkins also worked as the Lemhi Regional Land Trust Conservation Easement Stewardship Consultant. Matkins is an avid outdoor enthusiast and especially enjoys hiking, mountain biking, horseback riding, and floating local rivers.